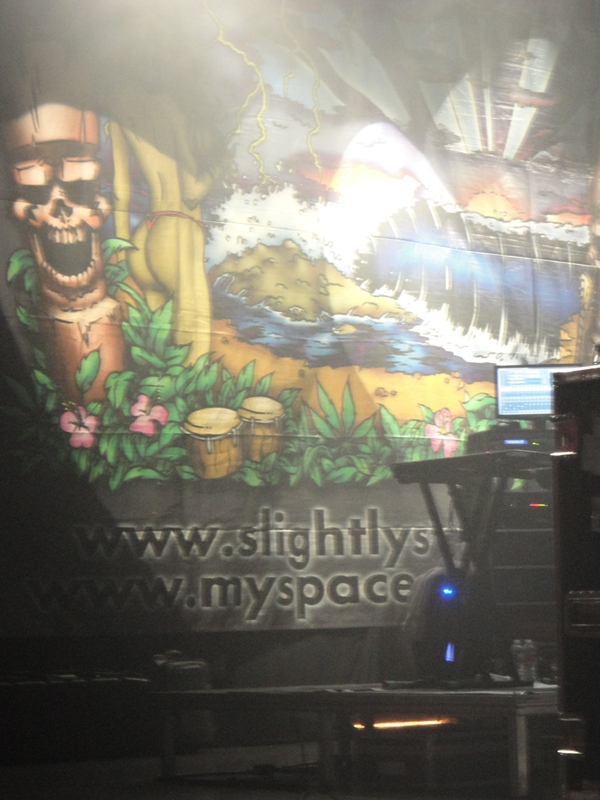 Friday night, May 13, 2011, Slightly Stoopid played at the Palladium. Hailing from southern California, Sublime and Rancid influenced psychedelic/punk/reggae band entertained Dallas. 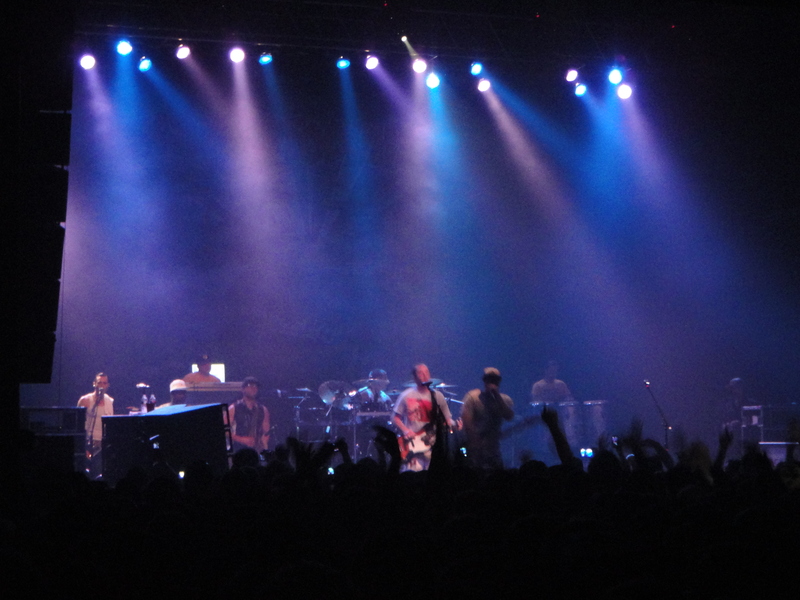 Slightly Stoopid has a large fan base in Dallas (the Palladium was packed), but since the band had been around a while (since 1995), I did not expect to see the younger crowd that I saw. By the time Slightly Stoopid took the stage at 10:25pm, the young crowd was so drunk or high, they were sitting with their head between their legs or throwing up. I don’t know why someone would pay $25 to not even enjoy themselves or see the band. As soon as I entered the venue, there was a distinct smell of marijuana lingering and underage kids yelling and screaming like this was their first concert or maybe even their first time in public. These kids were under the influence and could not walk strait, they ran into walls and people. 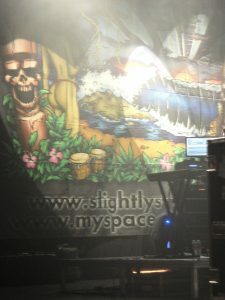 The psychedelic (trippy) backdrop was lit on the stage while the adolescent crowd ran around screaming as the house music played before Slightly Stoopid performed. As the house lights went down, green, blue and purple lights shined on the stage giving a very chill/mellow feeling (I suppose it was planned to chill out the crazy crowd – ha). The visuals are all there to set up the Sublime-esque type music (psychedelic, punk-rock, hip-hop, reggae mixture). Slightly Stoopid took the stage and played a quick jam to get started (almost like a sound check). Lead singer, Miles Doughty thanked the audience for making it out to see them and then continued playing. His transition between each song was asking how the crowd was feeling. The audience seemed stoic and maybe even “too stoned” there was very little movement or singing until about half way through the show. Doughty asked for crowd participation and since there were so many instruments playing, you really couldn’t hear what the crowd was attempting. The most consistent part of the show was the three guys playing horns and their energy level. They were jumping up and down when they were not playing and swaying side to side when they were playing. 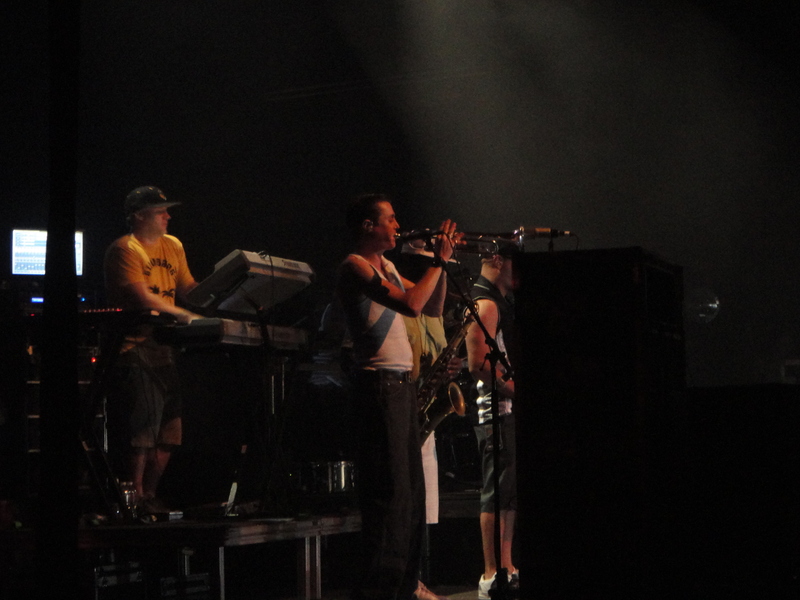 One of the guys that played the horn waved a towel to try to hype up the audience. There were random smoke stacks across the audience at any given time. At one point towards the end of the show, Doughty made a comment about appreciating Dallas chronic being smoked that night, then held up a joint and smoked it on stage! It reminded me of like a kiss cam on the screens showing details on stage, because the screen panned around the audience to see who was smokin’ out. The people that were featured acted like they were famous on the big screen. The last thirty minutes was the best part of the show. They played “The breakdown” that included fast drum beats, Kyle McDonald getting down on the bass, then guitar, and finally the horns coming in creating an improvisation jam that the musicians were just feeling within the moment. The last song started out with the horns playing the theme song to “Dallas” which I don’t think half the crowd could identify because they were too young to know what 80’s t.v. was, but then led to an awesome jam! This entry was posted on Friday, May 20th, 2011 at 9:41 am	and is filed under Music. You can follow any responses to this entry through the RSS 2.0 feed. You can skip to the end and leave a response. Pinging is currently not allowed. « Queen Elizabeth, Scully, and Gandalf Jump On Board A New Zombie Film!! !